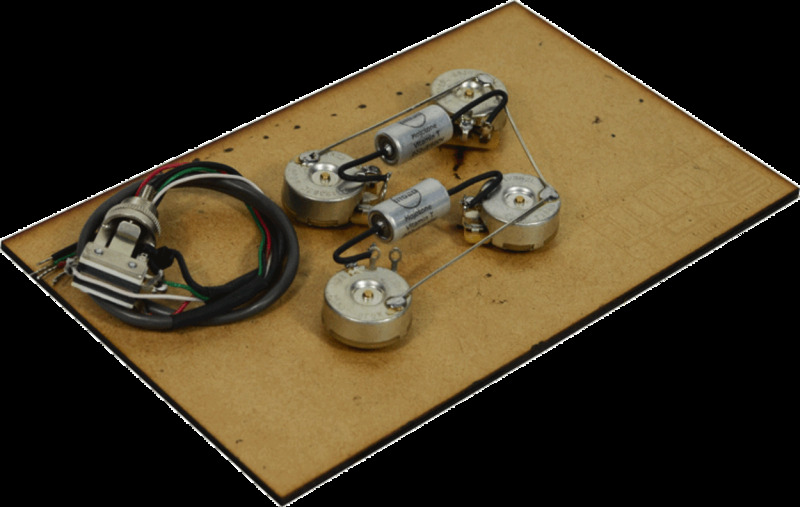 The Mojotone Pre-Wired Les Paul Long Shaft Wiring Kit is a standard Gibson Les-Paul-style kit that utilizes 50's style wiring for maximum tone! Designed specifically with long shaft potentiometers, it will fit most Les Paul style copies and originals with thicker carved tops. Use 24-knurl push-on knobs only. May require enlarging holes to fit Asian-made guitars with metric pots.